Glasgow could soon become the latest city in Europe to develop a renewable underground heating system, after researchers unveiled plans to tap into water stored in a network of abandoned mines. 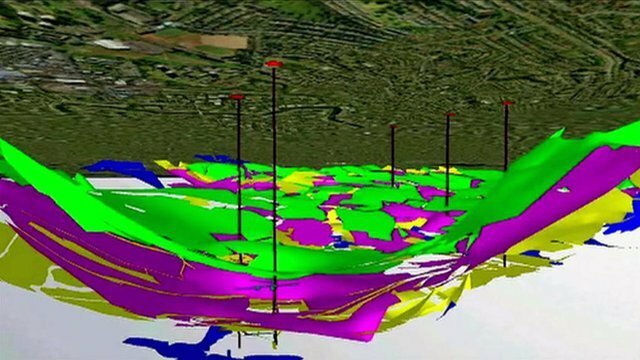 A team at Glasgow Caledonian University, backed by Scottish Power, are launching a project to identify underground reservoirs in the tunnels that could be used to harness geothermal energy. The research aims to build on the findings of a study by the British Geological Survey last year, which found almost 40 per cent of Glasgow's heat could be provided via geothermal energy. The network of abandoned tunnels left by Glasgow's miners now hold huge amounts of water. Using heat pumps, researchers reckon Glasgow could "concentrate" heat energy from lower temperature waters in the mines to make water hot enough to heat buildings. The heat could then be harnessed to warm the city's houses and offices, while the system could also be reversed in summer to provide cooling. If successful, the technology could help Glasgow meet its target to provide 11 per cent of its heat from renewable sources by 2020. Geothermal energy is already being used in a small scale project in Shettleston, Glasgow, providing heating and cooling for 17 houses. However, the researchers now want to map the geothermal potential of the entire city over the next three years. Geotechnical specialist Dr Nicholas Hytiris hopes the findings will allow Glasgow to install under-street heating systems, similar to those pioneered in Hamburg and Stockholm. "We believe this technology will, in the long term, be able to provide cheaper and more sustainable heating, which could be an answer to fuel poverty issues prevalent in many areas of Glasgow, particularly those with a mining past and a legacy of poor-quality housing and high unemployment," he said. "In three years' time we will have a full and accurate record of what is going on beneath our feet and then we can go on from there."